We love ourselves a good car like a dog loves a meaty bone. It's like Christmas (almost) every week here at our office since we get to drive some truly great automobiles, and even the average ones still manage to impress in some ways. Then there are those that make us want to leave it in the parking lot, ignored, undriven, and generally forgotten. But we have to drive them all so we can tell you about them, yes, even the crappers. Here are the cars we might recommend to the fools in our lives, and no day is more appropriate to do so than April 1st. When even the smallest of cars are getting better every year (Kia Rio, we're looking at you! ), it's hard to stomach lousy ones like the Yaris Liftback. The artist formerly known as the Yaris (Now the Yaris iA sedan is called the Yars. Confused?) doesn't really get any changes for 2019 except for pedestrian detection in the standard safety suite. The little guy is anything but fun to drive, and a lousy driving position and poor steering column adjustability ruin things even more. Push the car hard, and it wheezes painfully, reminding you of how little you paid for this car ($12,418 base MSRP). Play around with the dated infortainment system, and you'll feel like you're stuck in the early 2000s. Try to pick up your date in it, and prepare yourself for a bad breakup. It's just not a car you pick because you want to since desire has pretty much nothing to do with it. Thankfully, Toyota is killing it off after this year, and no one will miss it. Mitsubishi wanted a resurgence (and still needs it), so they figure investing resources into an exciting new small crossover would be the way to go. And they though resurrecting a name from a once fun sports car to slap on the new crossover would be a great idea. They could not have been more wrong, especially when the result is the Eclipse Cross. Boasting, well, pretty much nothing, the Eclipse Cross isn't particularly fetching in terms of styling, and the interior cheapness is as plain as the nose on its face. 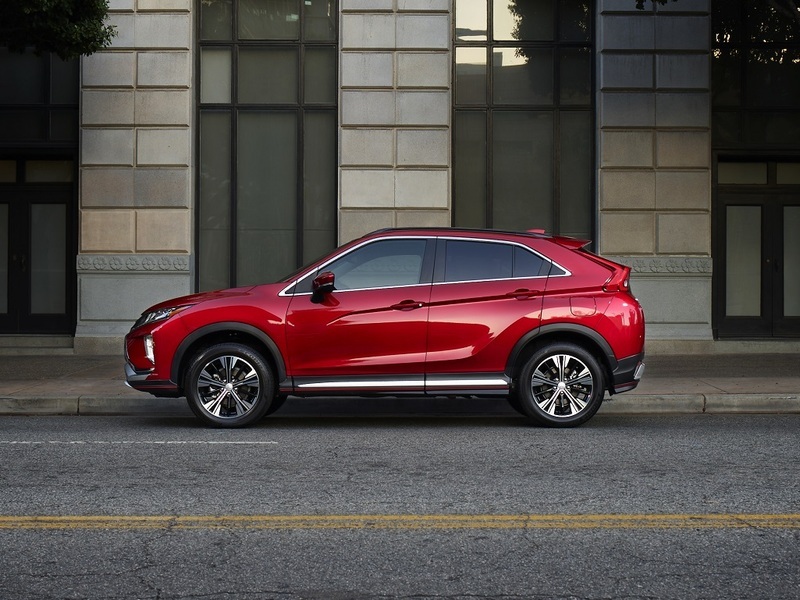 Combine all this with lackluster performance, a roofline that slopes worse than a Black Diamond ski run, and more shiny piano black plastic than a coffee table from the '90s, the Eclipse Cross is just a big disappointment. When we drove it, we felt embarrassed, and the opportunity Mitsu had to impress felt seriously squandered. Only buy this thing if you don't care what anyone thinks of you, and if you don't feel especially great about yourself, either. What do you get when you put a dinky crossover body on even dinkier wheels? Yep, the EcoSport. It might be a smidge eco, but it's even less sport, so the name doesn't even make much sense. Our theory is that Ford wanted to copy the Chevy Trax and all the things we hated about that car. It worked because there's just not much to like about this little, stilted hatchback except for its maneuverability and the ability to parallel park in places others can't. The rear legroom is paltry, the acceleration is poor (9.4 to 60 mph? Really? ), and the seat fabric feels like it came from athleisure apparel leftovers. Its merits include a great SYNC 3 infotainment system, a unique side-swinging tailgate, and good control layout. And that's where the list stops. The Beetle is an icon in the automotive industry, and the model has sold in the millions over its multi-generation lifespan. But the death knell has been sounded since no one's really interested in a cute, impractical, and slightly cheese automobile that reminds them of their hippie heydays. On the bright side, the current model is called the Final Edition, and let's hope it stays that way. Though the interior is unique and fun, there's not much practicality to the Beetle. Since it's Golf-based, the car is actually fun to drive but just not fun to be seen in, though it does provide some entertainment for onlookers. In Convertible form, the trunk is essentially useless when the top is down, and good luck having any tall friends join you because the back seat is a joke. We won't miss you, Beetle, and don't let the garage door hit you on the way out.